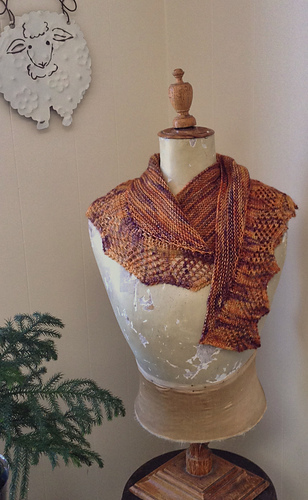 Spend $20 in my Ravelry shop in one transaction and you will automatically get $5 off your entire purchase. 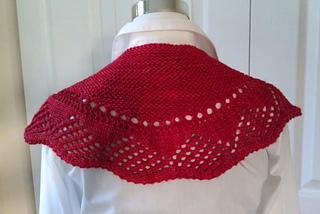 When the weather begins to cool, it’s always nice to have something lightweight yet warm around your neck or shoulders. 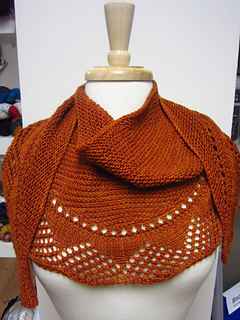 The GingerSNAP Shawl is a shallow, cresecent-shaped shawl that also can be worn as a scarf. 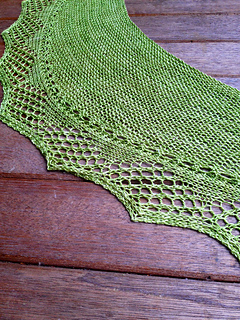 The lace edging is worked first, then the shawl body is picked up and worked from the bottom up in garter stitch, using short rows to shape it. 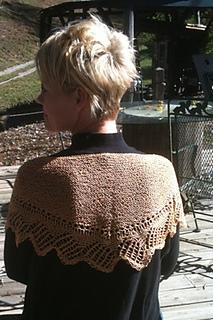 The finished measurements, after blocking, are: wingspan, approximately 60”; back length, approximately 11”. 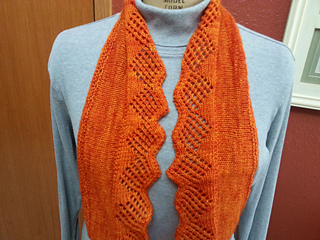 The directions for the edging are both charted and written. 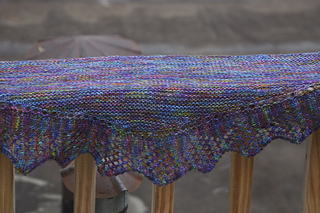 You will need approximately 400 yards of fingerweight yarn and a size US 6(4mm) 26” circular needle. 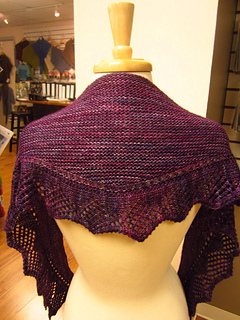 Using a heavier weight yarn will change the finished size and the amount of yarn required. 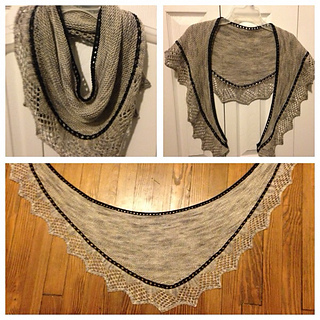 Many thanks to Katherine Vaughan ktlv for tech editing, and to finey for test knitting.